Searching for products being offered on Target will soon be as easy as taking a photo on your mobile phone. In a recent announcement, Pinterest revealed that it teamed up with Target allowing the retailer to use the former’s visual search called Lens. The deal aims to harness the power of Pinterest’s visual search tool by shortening the buying cycle and catching potential shoppers at their moment of discovery. If something catches a potential buyer’s eyes, like an article of clothing, for instance, the buyer can just snap a picture of the clothes and, with the Lens technology, the system will display similarly styled clothes being sold at Target. As part of the deal, Target has committed to increasing its ad spending on Pinterest in exchange for gaining access to the Lens technology, Marketing Land reported. However, it was not disclosed just how much ad spending Target will be shelling out for this commitment. There are speculations that Target and Pinterest might enter into some form of ad revenue sharing scheme in the future where they can sell ads to businesses that want their products to be featured prominently in the Lens search results. While indeed a possibility, a Pinterest spokesperson explained that such partnership is not yet being considered at the moment. The companies are trying to position themselves on the rising trend of using images and voice to search the web instead of typing the actual phrase. If this trend continues, estimates project that by 2020, 50 percent of internet searches will be done using images and voice. The deal could encourage consumers to buy from Target. Even if the actual product being photographed is not sold by Target, the search result generated by Lens will only show similar products being sold by the retailer. Pinterest has been sinking serious money into its image search technology program. It allocated a large chunk out of the $120 million it got from the latest round of funding for r&d. This resulted into the redesigned Lens which introduced new useful features into the image search tool such as zoom, focusing ability by tapping and a search option for previously taken photos saved to the Camera Roll. 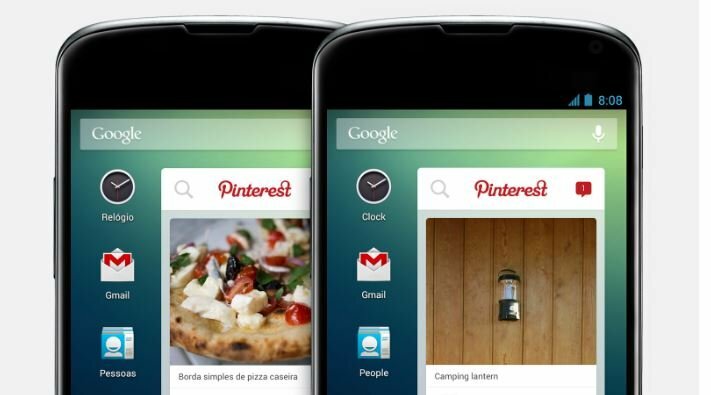 Target will initially plug Pinterest’s Lens tool into its Target Registry mobile app. However, there are plans that the image search tool will eventually be integrated into the main Target mobile app as well its desktop counterpart sometime in the future.